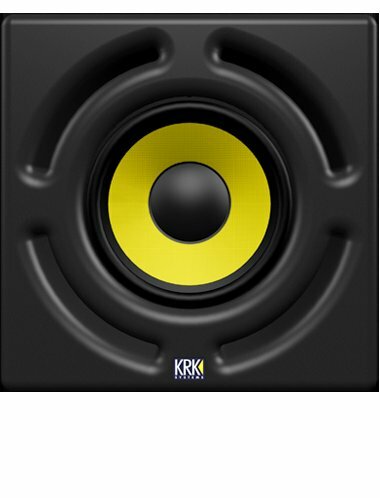 The KRK12sHO powered subwoofer is designed to match monitors such as KRK’s Exposé or VXT8 monitors. It is designed to give the engineer, artist and producer the opportunity to experience bass reproduction down to 29Hz. The KRK 12sHO cabinet features a 12-inch Kevlar driver cone set in a curved baffle front plate. A front-firing port is designed to provide low-frequency extension while reducing boundary coupling and port turbulence. The integrated power amplifier delivers 400w RMS performance with a sound pressure level of 113dB music and 116dB peak. The crossover is a fixed high-pass 80Hz with a subwoofer low-pass filter control variable from 60Hz to 160Hz, giving the KRK12sHO a frequency range of 29 to 160Hz. The cabinet features combi-jack inputs, thermal and overload/clip protection, LFE input gain, XLR outputs, a special subwoofer/line bypass footswitch connection, phase reverse switch and variable phase adjust capabilities. 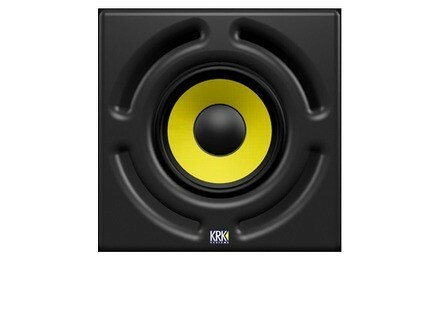 The KRK12s powered subwoofer is designed to deliver reproduction of the bass frequencies down to 34Hz. The KRK12s features a urved baffle front plate designed to enhance bass reproduction down to 34Hz from the 12-inch, Kevlar woven driver cone. The internally mounted power amplifier has a 225W RMS power rating that delivers 110dB music and 113dB peak sound pressure levels. The line out, high-pass crossover is fixed at 80Hz with a subwoofer low-pass filter variable from 50Hz to 130Hz. The cabinet features XLR, 1/4-inch TRS and RCA inputs, and XLR and RCA outputs, a system volume control with a range of -30dB to +6dB, subwoofer/line out bypass, phase reverse switch and ground lift switch. [Musikmesse] Alesis MultiMix 8 USB 2.0 FX Alesis announces the MultiMix 8 USB 2.0 FX, an eight-channel audio mixer with digital effects and a built-in multi-channel recording interface. [Musikmesse] Radial Engineering H-Amp Radial Engineering announces the Radial H-Amp, a speaker to headphone converter that has been updated from the original spec and is now available for delivery.